I spend a lot of time on this blog analyzing deal structures, return metrics, risk-adjusted returns, and the impact of fees. While all that stuff is meaningful, it shouldn’t be the main driver of your investment decisions. Instead, focus your efforts first on finding a top quality sponsor. If there’s anything I learned about value-add real estate investing over the past 6 years, it’s that the success or failure of a deal is driven almost entirely by the quality of the sponsor. 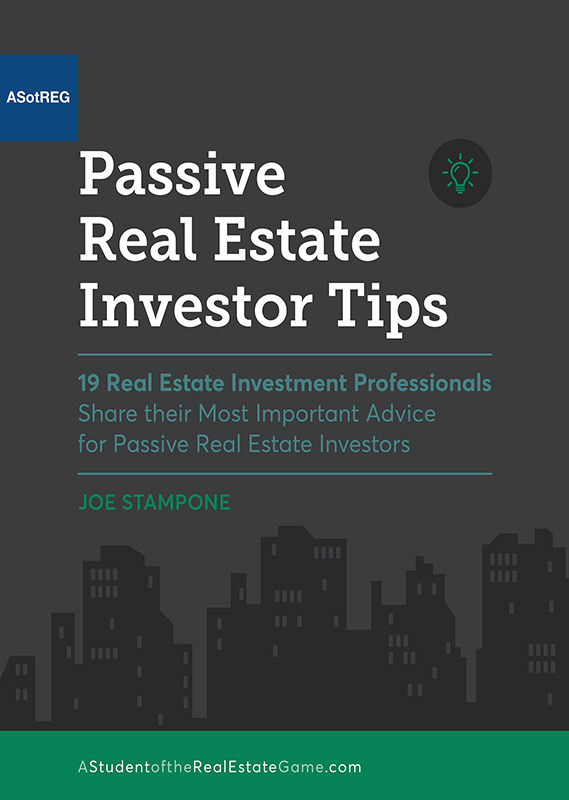 Here are 20 reasons to ignore all the noise and invest with a great sponsor. Great sponsors understand their strengths and weaknesses and surround themselves with partners, employees, and third parties who compliment their skillsets. Great sponsors are relationship-driven have access to off-market and mis-marketed deals. Great sponsors have superior deal-structuring ability, matching optimal capital sources with the optimal business plan. Great sponsors understand the risks and can structure downside protection. Great sponsors have superior deal analysis ability, driving all major decisions. Great sponsors know when a change needs to be made and they do so swiftly and decisively. Great sponsors understand the importance of transparency and their role as a fiduciary to their investors. Great sponsors are patient and don’t do deals just to do deals. Great sponsors utilize all the tools/resources at their disposal. Great sponsors know what they don’t know. Great sponsors aim for singles and doubles and focus more on not losing money than hitting home-runs. Great sponsors are creative and analyze all options prior to committing to a specific path. 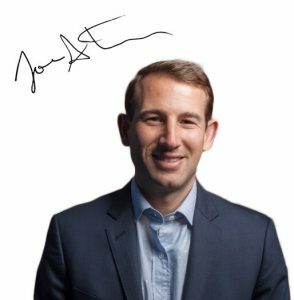 Great sponsors understand the importance of aligned interests and creatively structure ways to ensure all parties within a deal are properly incentivized. Great sponsors can formulate business plans to capitalize on macro and micro trends. Great sponsors aren’t in it for the money and structure fair deals for everyone involved. Great sponsors know where they can push and have no problem beating up lenders and third party providers to get the best terms for the deal. Great sponsors have a passion for the real estate business and they’re in it for the long haul. Great sponsors work tirelessly and stress over managing money on behalf of friends and family. Great sponsors recognize there are many great sponsors, and investors in today’s world have nearly limitless investment opportunities. As such, they appreciate the trust you put in them and won’t do anything to jeopardize that trust. Great sponsors fail, but when they do it’s because something beyond their control went wrong and it’s not a surprise because they were transparent with investors along the way. Investing with a great sponsor doesn’t guarantee success and while the structure and the terms of the deal matter, investing with a best-in-class sponsor puts you in the best position to succeed. 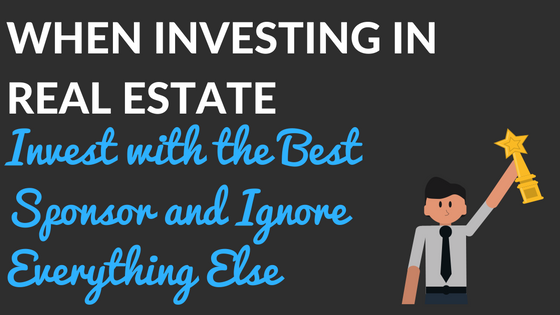 Running a real estate investment firm is difficult, so if you find a quality operator, stick with them.